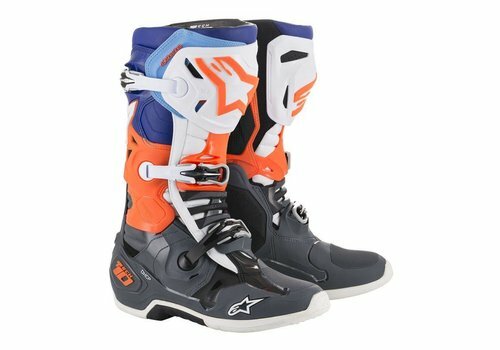 Buy Alpinestars Tech 10 Boots? Now with Free Shipping + $100 Champion Cash! 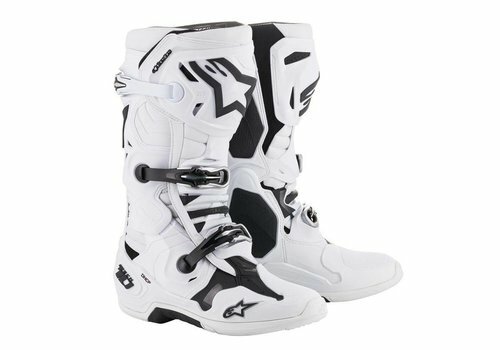 Buy your Alpinestars Tech 10 Boots at Champion Helmets and get: ✓Best price ✓Free shipping ✓5% Cashback on your Order Value ✓Super Fast delivery ✓Order now! 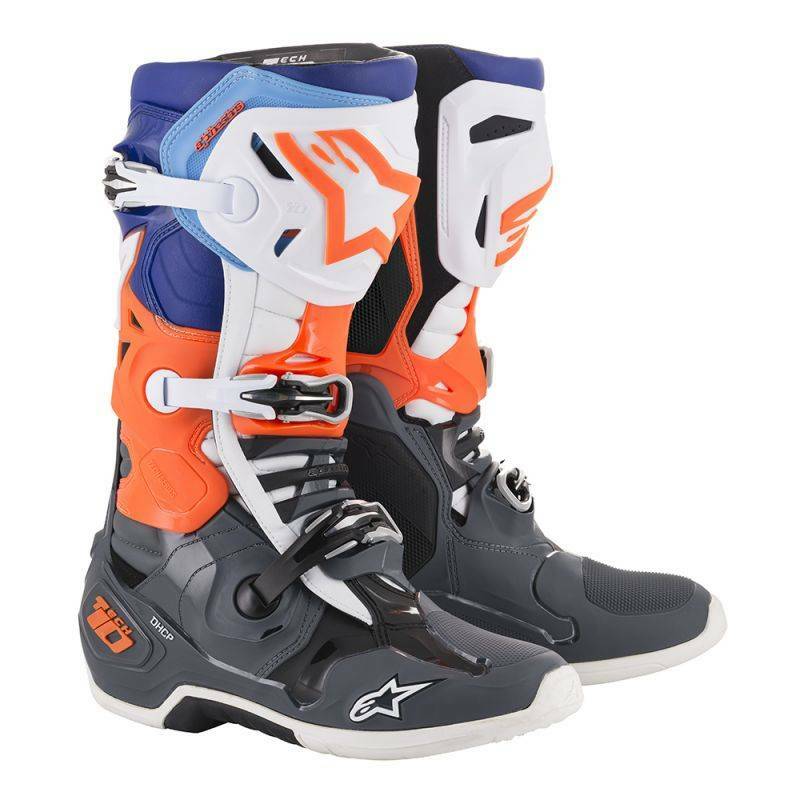 Buy your Alpinestars Tech 10Boots at Champion Helmets and get: ✓Best price ✓Free shipping ✓5% Cashback on your Order Value ✓Super Fast delivery ✓Order now! Many years of research and development preceded the Tech 10. 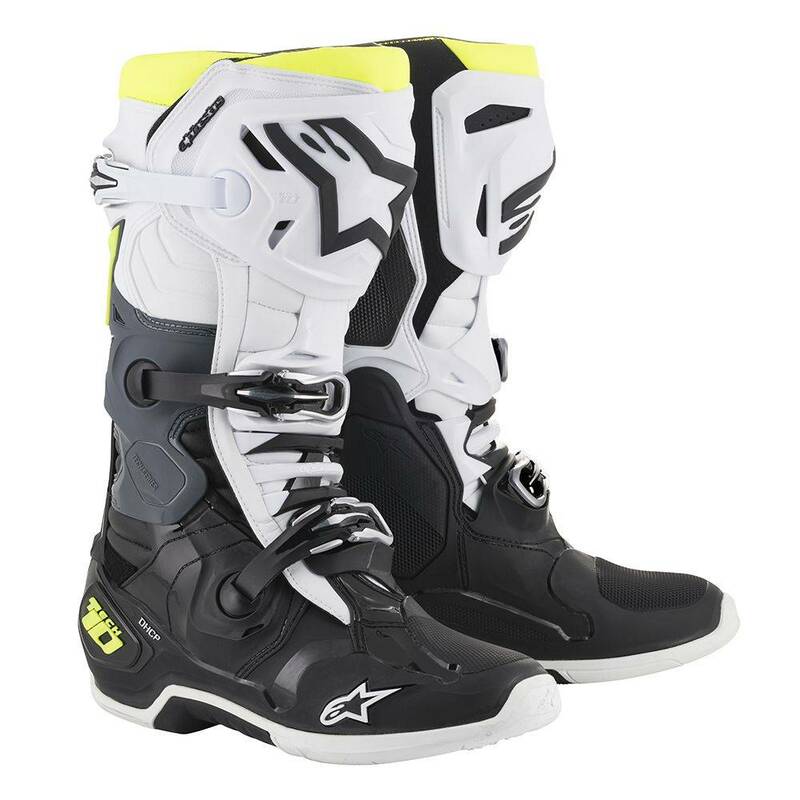 Moreover, this Top cross motorcycle boot proves itself constantly in motocross racing. 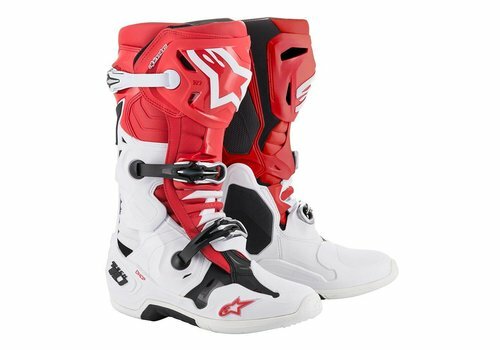 It is the most used motocross boot by professional riders. They listened carefully to the feedback from their riders at Alpinestars. The best techniques and innovations resulted in an extremely safe, comfortable and flexible motorcycle boot. They have not added anything to the name of the boot, but this new model has been renewed on almost all fronts. It is one of the slimmest models on the market. 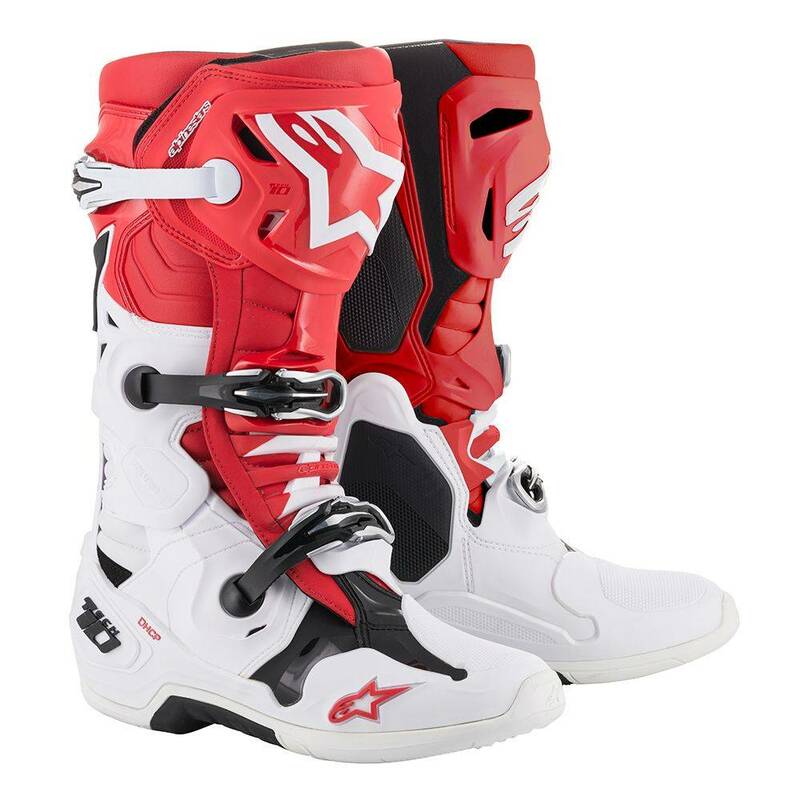 The Alpinestars Tech 10 has an interchangeable and washable inner shoe. The most important improvements are the Dynamic Heel Compression Protector (DHCP), the Frontal Flex Control system, the asymmetrical double hinge arms and the light weight of the boot. New materials have been used that are lighter and more durable to withstand the rigors of off-road riding. 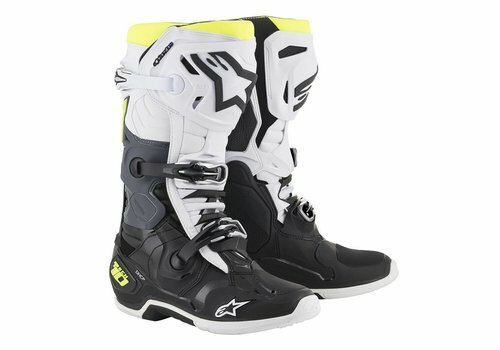 One of the competitors of the Alpinestars Tech 10 boots is the SIDI Crossfire 3 SRS. This is also a Top range cross boot from a quality brand. Almost all parts of this boot can be replaced. These boots have a suggested retail price starting at € 509. Another competitor of the Tech 10 is the TCX Comp Evo 2 Michelin. This is also a cross boot from the top segment of a quality brand, where top quality materials are used. The recommended retail price of this boot is € 480. These boots are available at Champion Helmets for an excellent price. For an extra discount you can subscribe to our newsletter or You tube channel and immediately receive a free 1000 points Champion Cash worth € 10, -. Found it cheaper somewhere else? Let us know and we will price match and even try to beat the price. The Tech 10 is mainly made of microfibre and TPU. The pre-formed calf and shin plates give the leg a nice wrap. The Flex plate system prevents excessive forward and backward bending of the ankle and at the same time offers sufficient freedom of movement. The Dynamic Heel Compression Protector is integrated into the heel sole. This built-in DHCP ensures that impact energy is largely absorbed. It has the same function as the EPS inner shell of a helmet and is replaceable in case of damage. The sole is improved compared to the old model Tech 10. It is replaceable, gives more grip and is highly resistant to abrasion. The TPU foot frame consists of one unit with different densities to provide more protection where it is needed. The Frontal Flex control system is located at the front of the boot between the 2 lower buckles. It is a connecting piece attached to the lower part and the upper part of the boot. It ensures that there is enough freedom of movement and it also works shock-absorbing. Furthermore, the inner shoe has an internal ankle brace system that ensures that the ankle does not make unnatural movements. The improved hinge arms are more compact and offer optimal freedom of movement and control. The side of the boot also has a larger rubber shield for grip and protection against the heat coming from the engine. 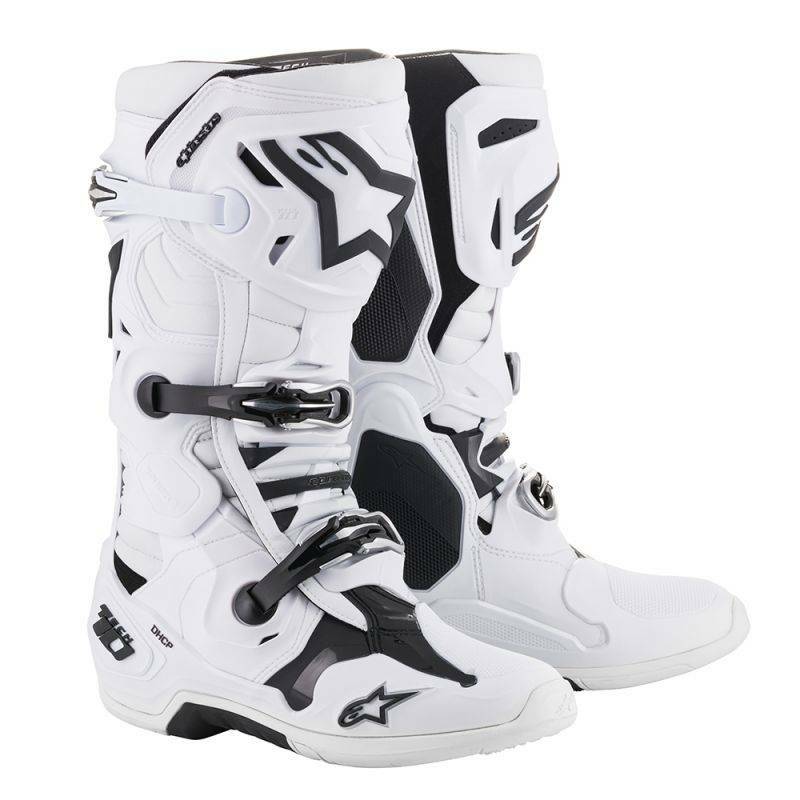 The fully redesigned Alpinestars Tech 10 cross-boots offer ultimate comfort to the rider. The weight and volume of the new Tech 10 has been greatly reduced. The weight is over 450 grams lighter than its predecessor. The buckle closure system consists is provided with replaceable aluminium buckles that are easy to operate, even when they are covered with mud. These buckles and straps have also been renewed and are now stronger and lighter than before. The inner shoe has a thin toe section for extra feeling with the engine. On the heel and ankles, the shoe is provided with thicker shock absorbing padding for extra comfort. The double closure through buckles and Velcro, provide a perfect fit. The inner shoe also has a new Velcro closure. The asymmetrical double hinge arms on the boot provide extra freedom of movement and ensure that the boot does not bulge at the sides when bending. They are asymmetrical because they have the hinge slightly higher on the inside of the leg, so that it gives a better feeling. The outdoor boot has suede on the inside at the heel area to provide extra grip for the inner shoe. The Alpinestars Tech 10 are available in 5 different colours. The price has not increased compared to the predecessor.